Lube City ® Express Oil Change has 28 locations in Alberta for your convenience. Visit us today in Edmonton, Sherwood Park, St. Albert, Stony Plain, Leduc, Fort Saskatchewan, Beaumont, Whitecourt, Calgary, Airdrie, Cochrane, Strathmore, Brooks, Blackfalds, Grande Prairie and Drayton Valley. 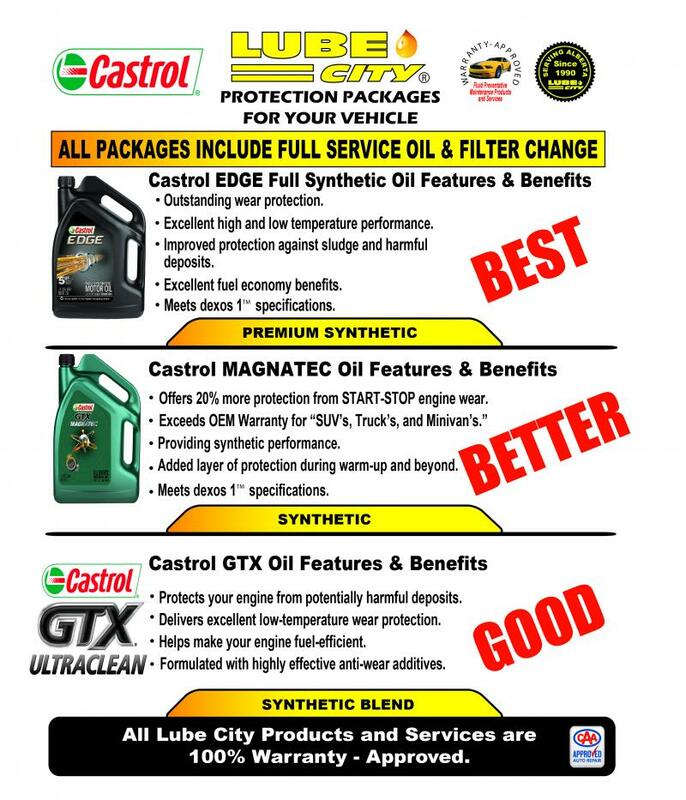 At Lube City ® Express Oil Change we pride ourselves on leading the way with technology and customer service. Our store locations communicate with a state-of-the-art computer database. Each of our locations is networked so that you can get an updated service history on your vehicle from ANY location. Lube City ® Express Oil Change is AMA Alberta Motor Association Approved. We were the first in the industry to start recycling oil, filters and cardboard. Lube City ® Express Oil Change is committed to being responsible and accountable to environmental issues. Lube City ® Express Oil Change has a large waiting room for you to relax in while your vehicle is being serviced by our technicians. Enjoy a magazine, or a newspaper while you drink a complimentary coffee, mocha or hot chocolate. There is a large window in the waiting area so you can see your vehicle. There are coloring books and crayons available for your children and dog biscuits for your canine sidekick. Our staff are friendly, courteous, knowledgeable and neat. You will find that each Lube City ® Express Oil Change location is neat and clean both inside and out. In fact, we find that it’s contagious. While you are waiting, we will vacuum your vehicle to send you away cleaner than when you arrived. We will also check your tires’ air pressure and adjust it accordingly. Dissolves and removes contaminants. Improves engine cleanliness. Promotes more complete draining of used oil. Recommended when you have exceeded regular oil change interval, or if you decide to change to a synthetic oil change package. Recommended every 20,000 kms or every 4th oil change. ** See owners manual for the specific preventative maintenance period for your vehicle. Prices subject to change.